Brookstone's CEO said in a statement that its airport and online businesses were successful, but an "extremely challenging retail environment at malls" forced the company to close its stores there. "They're trapped in hundreds of these B and C malls, whose traffic has been in serial decline," said Mark Cohen, the director of retail studies at Columbia Business School. "Where they are in triple-A malls, they're faced with very high rent." 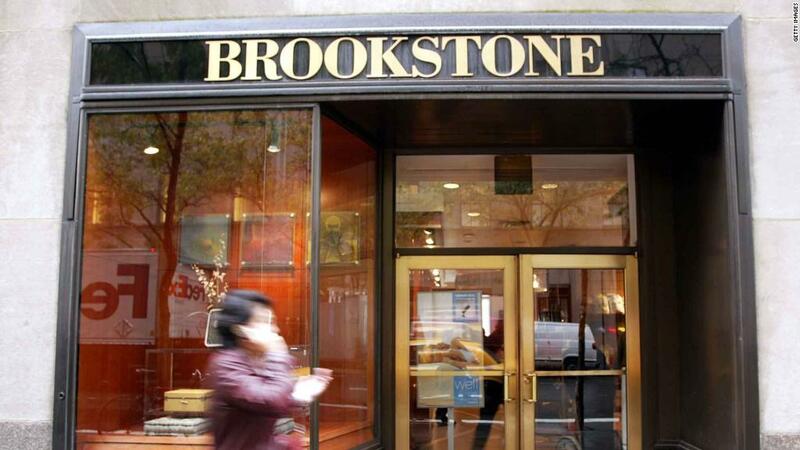 "Brookstone had a unique value proposition," said Sean Maharaj, a director in the retail practice of consultancy firm AArete. "They had a sophisticated offering. It was more boutique-like and felt a little white glove." Best-selling products in Brookstone's history include the Big Blue Bluetooth speakers, Nap weighted blankets, and Rock & Recline Shiatsu massage chairs, according to a spokesperson for the company. It was a launching pad for popular brands such as Tempur-Pedic, Fitbit, Indiegogo, and Segway. "We believe our strength is identifying, developing and selling products that are functional in purpose, distinctive in quality and design and not widely available from other retailers," Brookstone said in the filing. "When the company went private it was probably coming off of the most successful run in its history," Steven Schwartz, Brookstone's former chief merchandising officer and interim CEO, said in a phone interview last week. "We were an amazing store company, but we didn't have our eyes on the ball the right way digitally," he said. "The category is Amazon bait," said Columbia's Cohen. Smartphones and apps, not gadgets, satisfy many consumers' hunt for new technology. "They weren't able to support the endless procession of new and engaging ideas and categories that a consumer who is curious expects," he said. "It's a treadmill that's difficult to stay on." Customers didn't always know what they wanted when they went into a store, but they would wander around, try out products, and purchase an audio or travel product they found useful and engaging. Brookstone had difficulty distinguishing itself from new competitors and telling its story online, where it's harder to shop without knowing exactly what you want. It lost relevancy with many shoppers and fell out of mind. The company's troubles were an early sign of legacy retailers grappling with creating a new digital identity, Schwartz said: "We were the canary in the coal mine for the internet and for the digital age."